We know that fake news is not less likely to check verified news sources. They use facts from verified news and layer it with misinformation. When confronted by both the fake news and verified news, people tend to discount both the misinformation and the facts. That's the power of fake news. New York Time's investigation of Facebook pages backed by Russian agents during the 2016 presidential election. From the abstract: This research explores the alternative media ecosystem through a Twitter lens. Over a ten-month period, we collected tweets related to alternative narratives—e.g. conspiracy theories—of mass shooting events. Here are some ways you can make a difference now. 2. Verify an unlikely story. 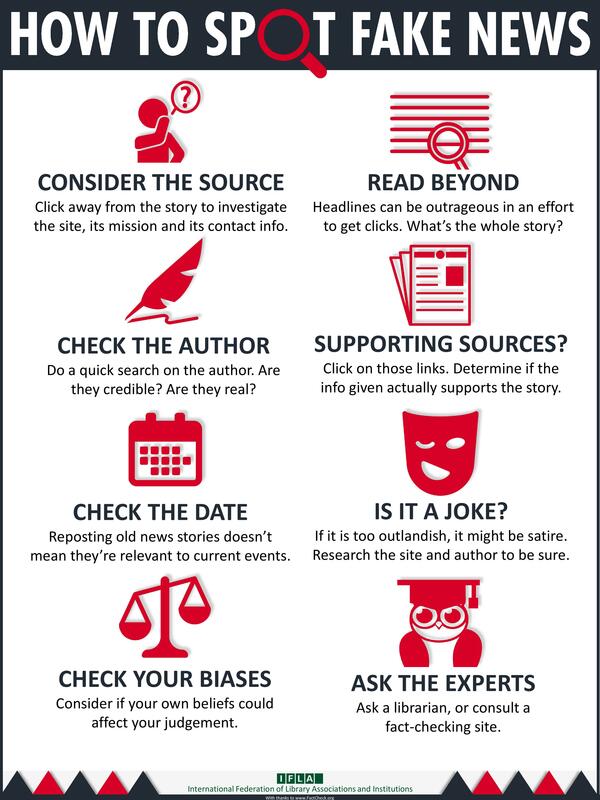 Use the tools on the Fact Checking page. 3. Rethink your news diet. 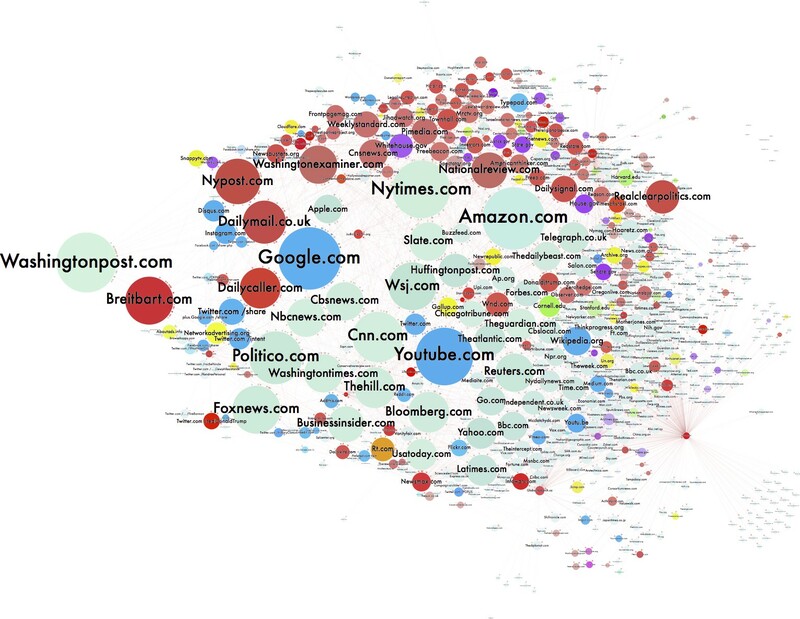 Expand your information network to include diverse perspectives from quality sources. Install B.S. Detector, a browser extension that identifies stories from sites that produce clickbait, fake news, and other suspect stories.